Business; the Philippines and you. Thinking of starting a business? What are the risks? Ask questions here to make the right decision. This forum is for general discussion about business,buying or renting commercial property,pros and cons of business in Philippines. Advertisements are not permitted here. To advertise use the Classifieds forum. Restrictions on advertising in the Philippines Expat Forum apply.Please read the rules of each forum before posting. Members who break this rule risk suspension or being banned. Contact an admin to advertise or if you are not sure of what is allowed. 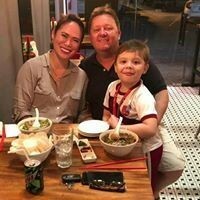 Looking for reputable lawyer in Manila or Cebu. I am looking for a Filipina bride. I want to build my own small midrange GYM!